Everyone from George Washington to Susan B. Anthony has a connection to the town. If the ancient walls of the Old Fort House could talk, they would describe fascinating accounts of visits by future presidents George Washington and James Madison. They would recall the venue playing host to both American and British forces during the Revolutionary War, including celebrated generals such as Philip Schuyler and John Burgoyne, as well as the infamous Benedict Arnold. They would also remember a charismatic young musician named Solomon Northup living here for a time and even getting married on the grounds. Fortunately, the walls are not relied upon to pass down the rich history of this iconic landmark, as the Old Fort House’s caretakers are dedicated to the singular mission of preserving its unique legacy. Located on five picturesque acres on Broadway in Fort Edward, the Old Fort House is much more than a relic of days gone by. 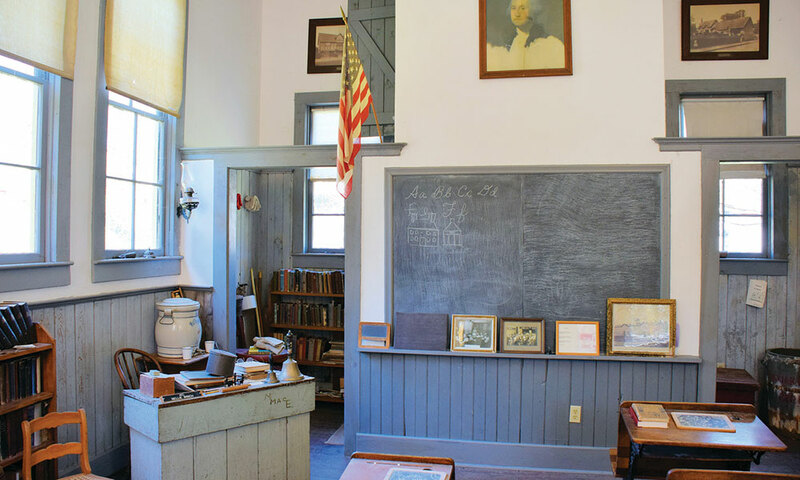 Featuring numerous buildings of historical significance, including an 1850s law office, a schoolhouse from the early 1900s and an apothecary garden, the museum campus is inviting and vibrant. The history of the Old Fort House dates to 1772. An Irishman named Patrick Smyth purchased the property in October 1771. Smyth built the house during the next two years from materials taken from the ruins of Fort Edward, a fortification from the French and Indian War named after Prince Edward, grandson of King George II. The fort had been abandoned following the war, which afforded Smyth the opportunity to take down the two best buildings there and use the materials for his personal residence. 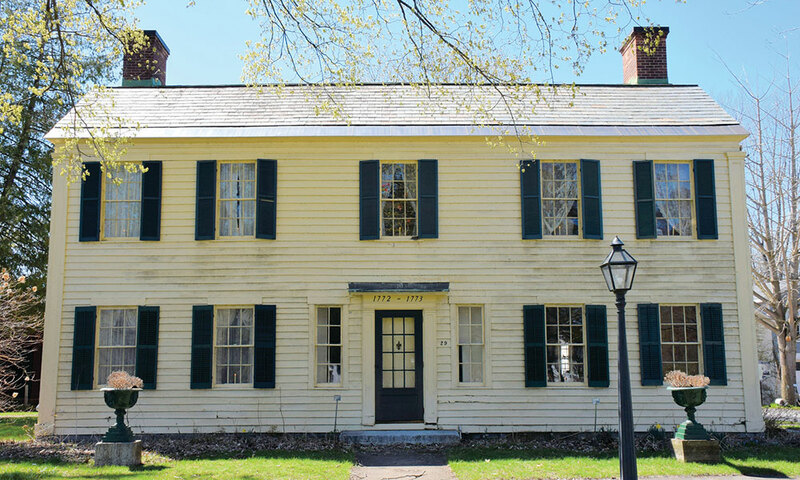 Smyth’s home also served as a tavern, meeting place and boarding house from early in its history. 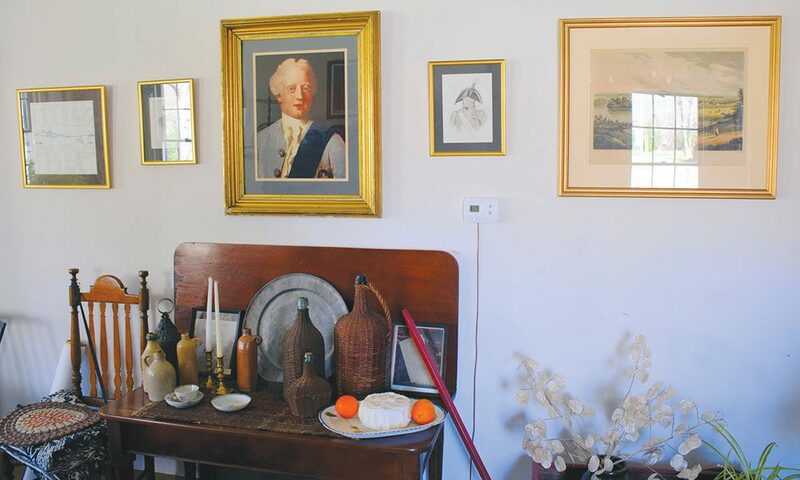 Through the procession of time, the Old Fort House served a variety of purposes with numerous owners and residents. On Christmas Day 1828, Northup moved into the house. He was married to Anne Hampton on the grounds and lived there until 1832. Northup, a free black man from Essex County, was drugged and sold into slavery in 1840. He spent the next 12 years as a slave in Louisiana before being freed and returning home. He then wrote the autobiographical 12 Years a Slave, which was adapted into a film in 2013 that won three Academy Awards, including Best Picture. Northrup’s experiences and legacy are a major part of the experience at the Old Fort House. The Old Fort House is open from June through October. A guided tour of all aspects of the campus takes about 90 minutes. One highlight is the A. Dallas Wait Law Office. Built in 1853 by Washington County Judge A. Dallas Wait in Fort Edward, the office served as the home of Wait’s private practice. Wait practiced law in Fort Edward and Sandy Hill (now Hudson Falls) before being elected judge in 1855 and serving three terms. Wait was elected as Washington County’s district attorney in 1861 and served two terms in that position. Originally located at 1 Mechanic St. in Fort Edward, the office was scheduled for demolition before being donated to the Fort Edward Historical Society and relocated to the Old Fort House campus in 1982. During its restoration, pocket doors dividing the two rooms were discovered, as was an original tin ceiling. The building was among the first in Fort Edward to be wired for electricity. Those original fixtures remain, and the office also features period bookcases and 19th century law books. Another popular attraction is the Riverside Schoolhouse, which was formerly of Northumberland. The one-room building was in use for nearly 65 years before being closed in the 1950s. The building was abandoned after its closure and has been part of campus exhibits since 1996. Other buildings include the Cronkhite Pavilion, Plank Road Toll House, Water Works Barn and Doctors’ Apothecary Garden. There is also an extensive collection of area pottery and a museum shop. In honor of the 100th anniversary of New York State approving passage of the 19th Amendment, giving women the right to vote, a new exhibit — “Women’s Suffrage in Washington and Warren Counties” — opened this summer. With its notable roles in local and national history, diverse exhibits and educational offerings, McCarty believes the Old Fort House appeals to people of all walks of life. Brien Bouyea is the communications officer at the National Museum of Racing and Hall of Fame and the author of Bare Knuckles and Saratoga Racing: The Remarkable Life of John Morrissey.